Ellie B aka Dogamous Pyle loves frolicking in the water at the lake and ocean during our trips to Cape Cod. She’s a champ at chasing her ball when we play our backyard games at A Bitty Better in the Liverpool neighborhood of Galeville. Our cherished rescue mutt absolutely adores anything and everything to do with my terrific daughter Elisabeth and her significant George Three. Here’s your ball, Ellie B. 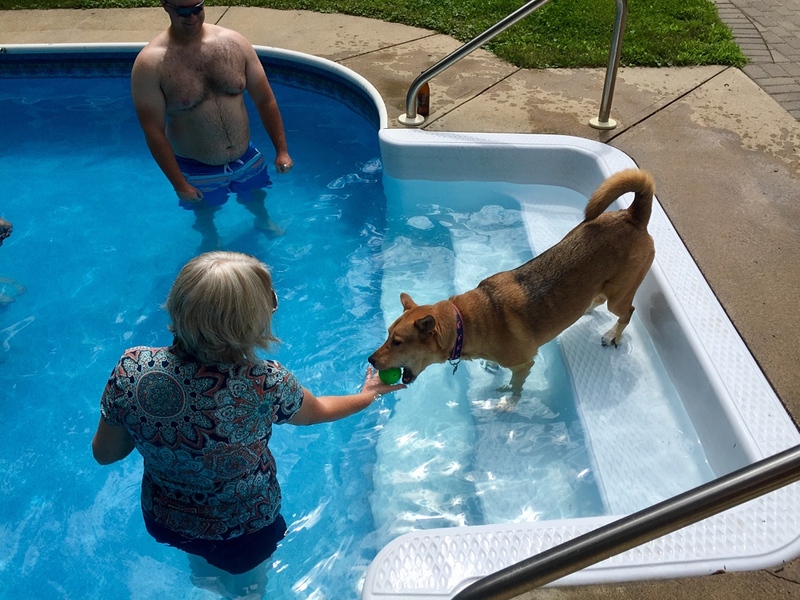 So my dear wife Karen and I thought we’d hit a home run for Ellie B’s first supervised swim when we had the kids over for a barbecue and pool party. No dog was harmed in the photography of this blog post. On we went to the food. A good time was had by all. Yes, Ellie B aka Dogamous Pyle got some leftovers, of course. 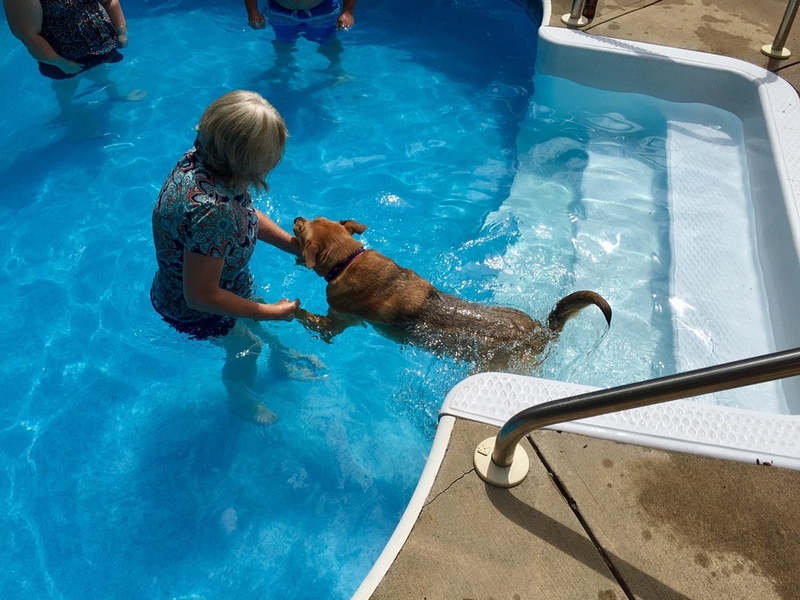 And now we know we do not have to worry about her diving into the pool on her own when we let her out back by herself. 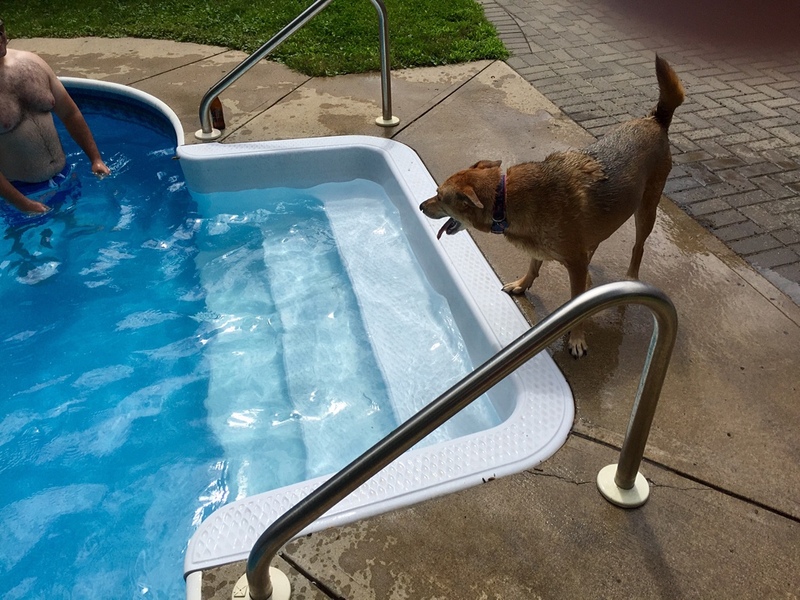 I think this stubborn dog is done with trying the pool, Beth. 😮 If she can’t feel the bottom, it’s not for her. You just never know. 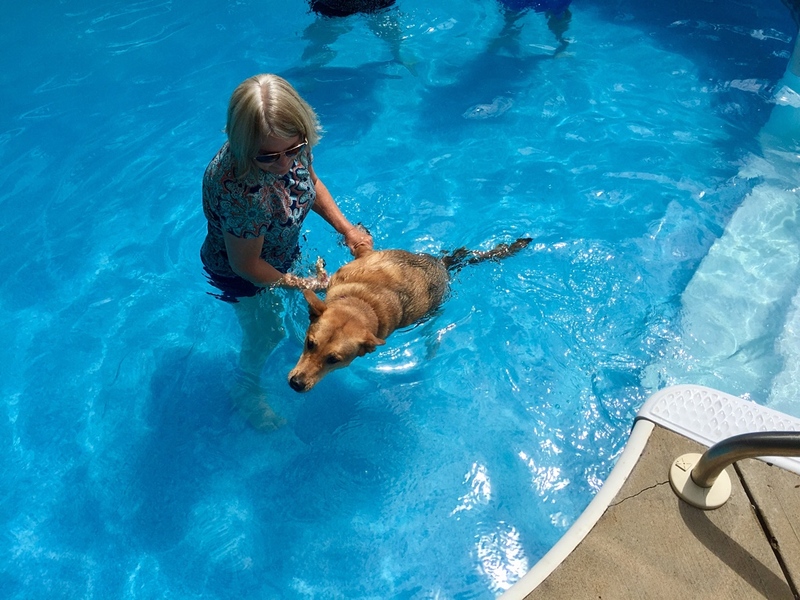 We (and the neighbors) were shocked when our Golden Retriever jumped into the Schuylkill River and took off. We had never seen him swim ! You are right to be relieved…he won’t go in there alone. Pool looks great, Mark. Ahh, the pool looks so cool. Have you tried putting a dog life jacket on her to help flotation and security? I have never even heard of a dog life jacket, Phil. Wow. Pet smart and Petco and just about everywhere have them here. Amazon? We had boats and the dogs had life jackets, too. 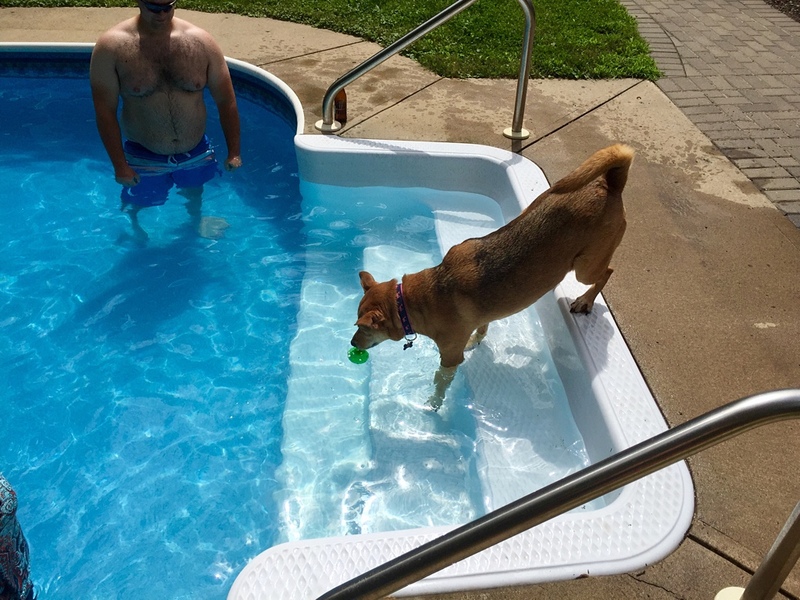 Get one with a grab handle on top and you can use it to help support dog as it gets used to being in water. Great idea. Thanks so much, Phil. She wants to know she can stand tall if she wants, Patricia!